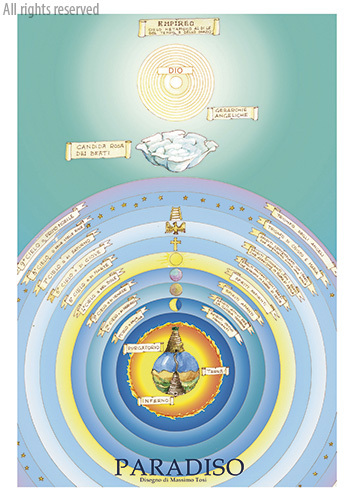 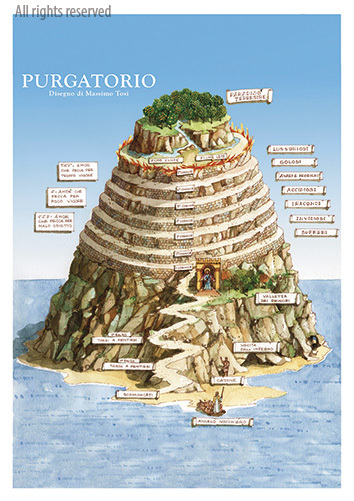 Cartellina contenente 3 stampe dei bellissimi acquerelli di Massimo Tosi dedicati alle tre Cantiche della Divina Commedia di Dante Alighieri: Inferno, Purgatorio e Paradiso. 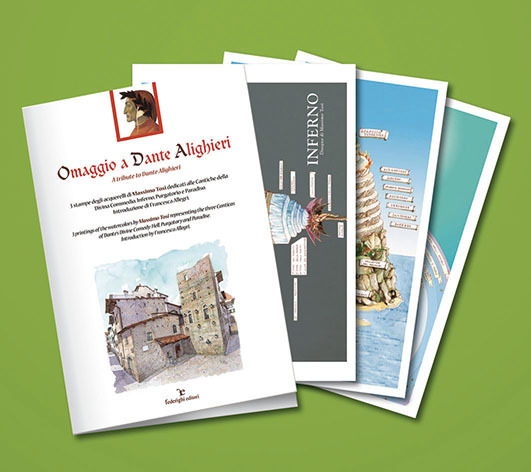 Contiene una breve biografia di Dante Alighieri, in italiano ed in inglese. 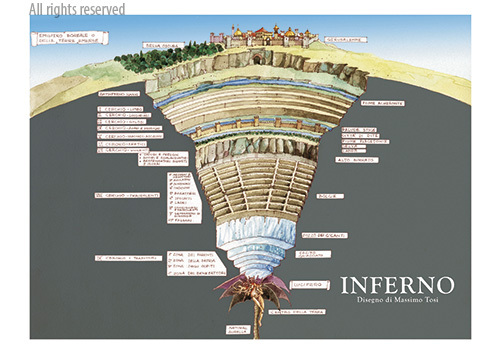 Folder with 3 prints of Massimo Tosi's beautiful watercolours representing the three Canticas of the “Divine Comedy” by Dante Alighieri: Hell, Purgatory and Paradise. 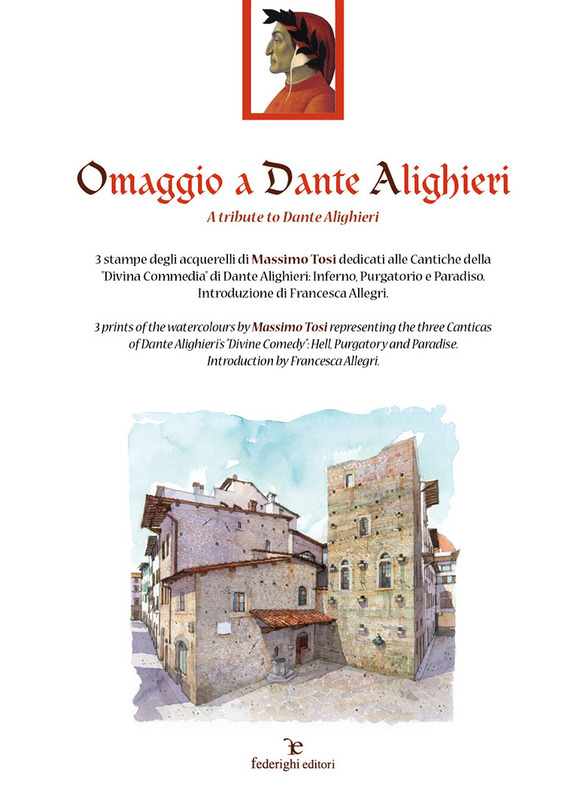 It contains a biography of Dante Alighieri, in Italian and English.